CAMP ROYALCREST offers a safe, unique and inviting setting, with over three acres of manicured landscape, open fields and mature trees. The school is surrounded by the untouched lands of the Oak Ridges Moraine which lends itself to a true outdoor camp experience! Our campers experience is quite unique. Each day campers participate in sports activities, team games , arts and crafts and of course skills & drills in Math & Language. CAMP ROYALCREST counselors are certified RoyalCrest Academy professionals with multiple years of teaching and camp experience. All are First Aid/CPR certified. Counselor to camper ratio varies by age group. 1:5 for ages 18 months to 2.6 years; 1:8 for ages 2.8 to 3.7 years, 1:13 for ages 4 & 5 years of age and 1:15 for ages 6 to 8 years of age. CAMP ROYALCREST campers are welcomed each day with open arms and happy faces, ready to begin a fun-filled day to create unforgettable memories! Come and join the fun at CAMP ROYALCREST this Summer! Our young campers will enjoy the daily outdoor play under a covered canopy protecting them from the sun’s rays while enjoying the fresh air. 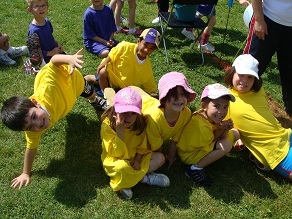 Campers daily routine follows a set schedule which incorporates learning, play, arts & crafts and of course nap-time. Meals are included in our full day programs. Before and after care are available at no cost for our monthly campers. 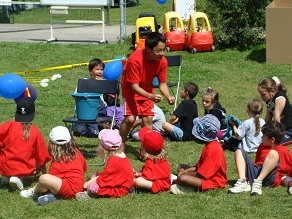 Daily and weekly campers are required to pay the required fees. Kindly refer to our Camp brochure for further information regarding what to bring and what to wear at camp. 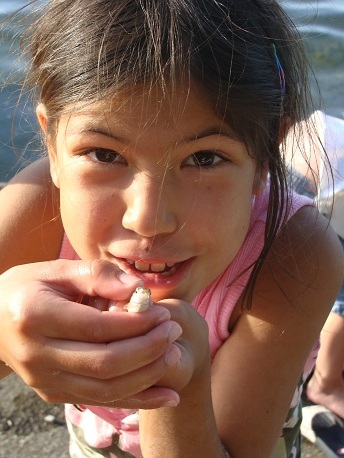 Campers will explore nature around them focusing on different types of trees and leaves, rocks and insects. 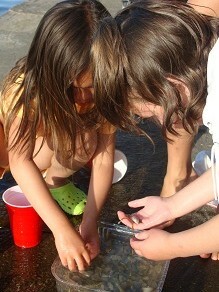 Activities, crafts and games will be related to learning more about nature and the outdoor environment around us. 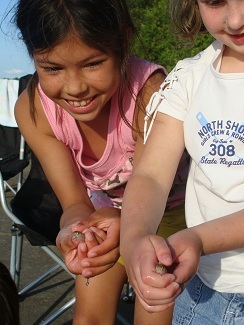 Creepy crawly activities will be packed with insect fun! A field study will take place where campers search the environment around them for a rock of their choosing and create their “pet rock” through a fun and exciting craft activity. Discover the outdoors with us! Scavenger Hunt week will include a number of crafts that campers will use for their final Scavenger Hunt. Campers will explore the outdoors and collect a number of natural objects which they will observe and share with their fellow campers. This Scavenger hunt offers an intense, challenging experience as well as an intellectual and aerobic workout that draws out each camper’s knowledge and personality. Campers will explore outer space and learn about the planets, the atmosphere and the Milky Way galaxy through a variety of activities. This week will include a number of crafts such as creating their own solar system and constellation. Join our Summer Carnival! 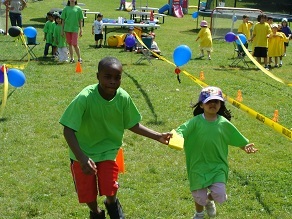 Campers will create their own carnival games and incorporate them into our final Summer Carnival! This week will include a number of different and creative crafts that campers will wear for the carnival. Explore the diversity of life on a coral reef and discover the bizarre creatures that inhabit the deepest and darkest corners of the world’s oceans. Campers will trace the history of our sea exploration, from the first boats and crude driving bells to the deepest ocean dive and modern technology. Week 6 July 31 – August 4, 2017 – Lights…Camera…ACTION! This week campers will get in touch with their artistic side and will work with a number of different art approaches like acting, dancing, singing and painting. Campers will explore the wide ranges of art and will have the chance to select an art form and create their own unique presentation which they will present in front of their fellow campers. Campers will enjoy Fairy-tale and Superhero week filled with a variety of activities relating to fairy-tale and superhero characters. Story time, crafts and games all related to camper’s favourite fairy-tale/superhero. This week Counselors will provide hands-on activities that encourage creativity and innovation. Campers will discover the world of engineering with a range of different activities and experiments! Campers will learn how to build a stable structure by using Popsicle sticks and marshmallows. Come join us for RCA Olympics as campers compete in a variety of events! Test your skills at the obstacle course, ring toss and in a soccer tournament. Craft activity will include the creation of your team’s flag! Good luck campers!